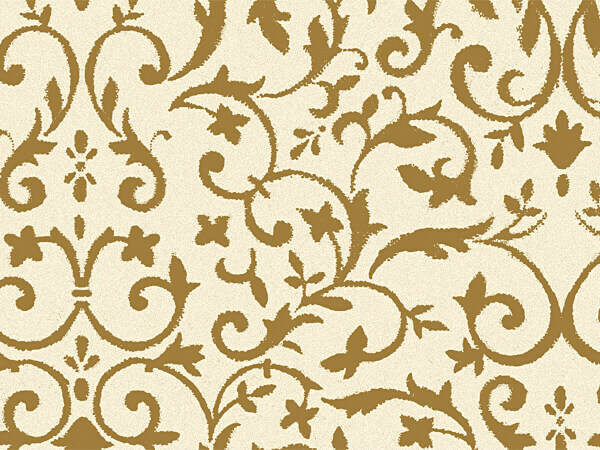 Gold and Ivory Florentine Tissue Paper by the 120 pack half ream. Tissue paper design printed on recycled paper or paper sourced from well managed forests. Green Way ® Eco Friendly Packaging. Made in USA.